Illinois while a third touched down in Cape Girardeau County Missouri. End location:           1 mile east of Wolf Lake Illinois along State Forest Road. End location:           2 miles south of Wolf Lake Illinois, along the Ware Wolf Lake Road. 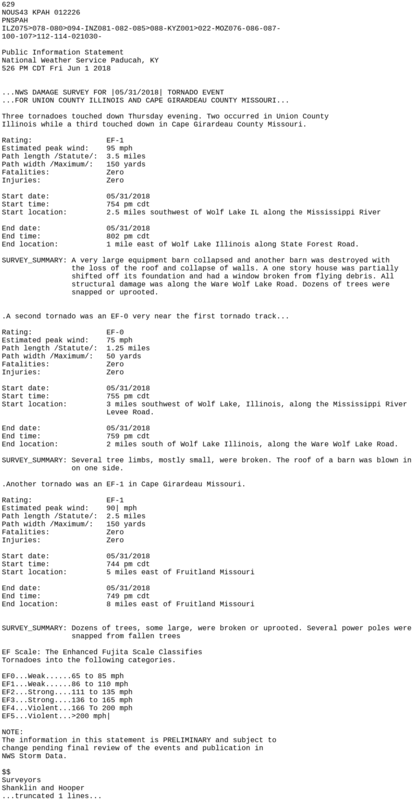 .Another tornado was an EF-1 in Cape Girardeau Missouri.